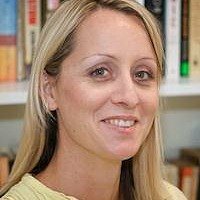 Aleesah Darlison writes picture books and novels for children. She also reviews books for The Sun Herald. Aleesah’s stories have appeared in the black dog books Short and Scary Anthology, The School Magazine and Little Ears. She has won numerous awards for her writing including an ASA mentorship in 2009. 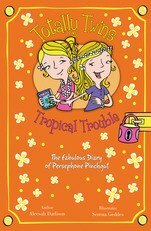 Totally Twins is Aleesah’s first series and is for girls aged 9 plus. 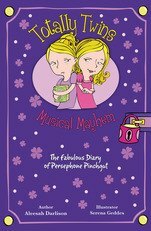 The books follow the hilarious adventures of identical twins, Persephone (she's the sensible one) and Portia (she's the messy one) Pinchgut. 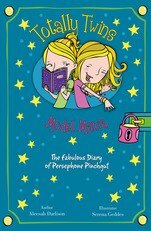 Perse and Portia live with their wacky mum, Skye, who is a yoga teacher and laughter therapist. Though the girls look the same on the outside, they're very different on the inside. This often leads to problems! 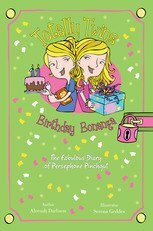 The books are written in diary format, and the twins' adventures are recorded by Persephone. For more information about Aleesah, visit her website at: www.aleesahdarlison.com.